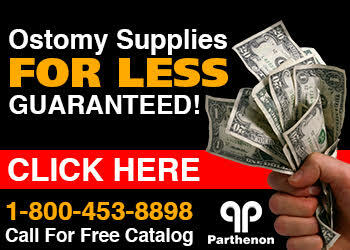 Ostomy strip paste, in one form or another, is offered by many of the manufacturers. Coloplast has introduced their Brava Ostomy Strip Paste recently and it has become quite popular. Coloplast's new Brava ostomy strip paste is flexible, moldable, and contains no alcohol which means that the paste will mold into body contours to protect the skin without stinging or irritation. The Brava paste is easily molded into deep skin folds and other areas in need of skin protection or subject to irritation. For easier application, simply moisten the fingers with water before modeling the paste. If a smaller amount than a strip is required, simply cut the necessary amount from the strip and put the rest away for later use. If a larger amount is required, two paste strips may be squeezed together with the fingers. Coloplast's new ostomy strip paste is intended for filling in cavities/folds in the skin or as an extra method of skin protection/sealing. How to open the packaging: Open the packaging by pulling the flap at the end. Take out the paste strip. Remove the protective film (fig. A), and the paste is ready for use. It is recommended to keep a finger on the paste material when removing the film (fig. B) so the film can be quickly pulled off. Application of the paste: Paste is used directly on the skin. Apply the paste strip to the skin (1a). Smooth the paste with fingers so that the skin and paste make an even surface (1b).Then apply the ostomy appliance. Paste used in connection with cavities/folds in the skin. Place a piece of paste strip in the fold. Mold the paste into the fold. The paste must fill in the whole cavity so that the paste and the skin make an even surface (2b). Paste applied directly on the adhesive. Apply a piece of paste around the center hole of the adhesive. Smooth the paste with fingers against the adhesive surface so that the skin and paste make an even surface (3b). Apply the adhesive to the skin. Paste on the surface of the flange. Apply the flange to the skin. Apply a piece of paste strip around the stoma (4a). Smooth the paste around the stoma and on the flange so that the flange and the paste make an even surface. Apply the pouch. Removal of the paste. The paste may be removed from the skin at any time. Typically residues will not remain on the skin as the paste will come off the skin together with the adhesive. Coloplast Brava Ostomy Strip Paste is available from Parthenon at discounted prices, in fact, if you find a lower price than ours, just tell us and we will be happy to beat it by 5%!